To catch up with the growing trend towards payment by cards of the young, Vietnam Prosperity Bank (VPBank) has officially introduced a new credit card named VPBank StepUp with many attractive features since 15 August. VPBankStepUp card has youthful and trendy design, and integrates maximum specific privileges that VPBank offers to its customers. In details, customers enjoy up to 5% refund of online spending on electronic and electric devices, fashion, books; or spending at restaurants, cafeterias, bars and cinemas nationwide. The total monthly cash-back amount is up to VND 600,000, equivalent to VND 7,200,000 p.a. Moreover, VPBank StepUp cardholders also enjoy promotions at VPBank’s ultimate partners, such as free 01 month of service at California Fitness & Yoga Center, 50% discount of PISmember registration fee at PartyInSaigon. Owners of VPBank StepUp, with their VPBank accounts, can also perform inter-bank transfers and transactions at ATMs belonging to Smartlink alliance nationwide for free. Thanks to the bank’s strengths in the internet and mobile banking, VPBankStepUp cardholders can perform most transactions anytime, anywhere with simple steps on computers or mobile phones. Owning a VPBankStepUp card is not only a new trend in spending but also a lifestyle of young and successful people. 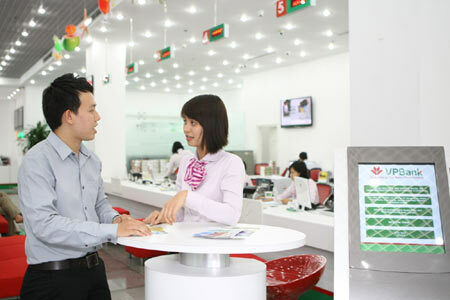 Being one of the leading Joint-Stock Commercial banks in Vietnam, VPBank always attempts to improve its products and services, and bring outstanding benefits to its customers to gradually become one of the top-three retail Joint-Stock Commercial banks in Vietnam, and top-five Joint-Stock Commercial banks in Vietnam by 2017. For more information, please contact: 1900 545145 or 04 3928 8880 or visit VPBank website at www.vpb.com.vn.